It seems like only yesterday – ok, ten years ago – that Sam Raimi brought Spider-Man to the big screen for the first time. Its unprecedented success almost single handedly ushered in the current era of superhero films. Even so, Hollywood is an unforgiving town, and when the third film went over budget, over schedule, and underwhelmed, the fourth was given the axe. The Amazing Spider-Man is the franchise reboot nobody asked for, and nobody seems sure whether or not they want. Directed by the appropriately named Marc Webb, the film stars British actor Andrew Garfield in the titular role with the bankable Emma Stone as the lesser-known love interest, Gwen Stacy. Martin Sheen and Sally Field play Uncle Ben and Aunt May, respectively. In this reimagining of the Spider-man mythos, the disappearance of Peter Parker’s parents (thank you, Stan Lee, for the many opportunities for alliteration) is much more important and integral to the plot than in the previous films. 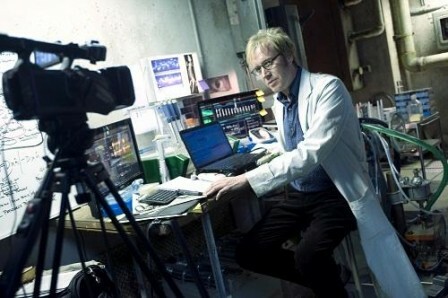 This time around, Richard Parker is a scientist who worked closely with Dr. Curt Conners (Rhys Ifans) – a geneticist who, as we all know of course, becomes The Lizard through his research. Presumably someone wants to get their hands on the research though, forcing the Parkers to flee and they are declared dead when their plane crashes. Hard science, or at least the facade of such, is much more important here than in the past where we just accept that a weird radioactive spider bites Peter and the rest is history. Instead, cross species genetics not only explains Spider-Man’s origins but fuels the rest of the story as well. 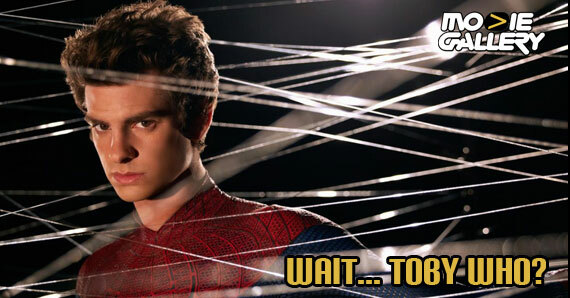 Peter’s intellectual prowess is also prominently promoted – this time around he actually builds his own web slingers instead of them being part of his mutation. In the ever-increasing web of connections, the webbing comes from a product produced by the very spiders that bit him – created by Oscorp. Yes, Oscorp, and Norman Osborn exist here and are in fact behind everything. Maybe. More on that later. The biggest flaw of this movie is that it is overly familiar in parts. Really, that can hardly be helped, coming so soon after the first trilogy ended. Uncle Ben’s death, especially, felt almost beat for beat the same – just variation on the events we watched ten years ago. The circumstances of his death, however, are so well established in the history of Spider-Man that I’m not sure how it could have felt different without doing a disservice to the story. Another thing that personally bothered me a bit was how much Dennis Leary as Police Captain Stacy reminded me of Willem Defoe. As I watched it, I just kept thinking of him as Norman Osborn, which was a little off putting. There is also a scene with Dr. Conners very reminiscent of the scene where Defoe argues with himself mashed up with the Smeagol/Gollum encounter in The Lord of the Rings. Though I will concede that something later on had me second-guessing what that whole thing was really about. Also, a Matrix reference? Really? Even as familiar as it is, being the origin story all over again, it feels incredibly fresh at the same time. Watching Andrew Garfield made me realize how unlikable Toby Maguire’s Peter Parker really was at times. Garfield has the wit and awkward charm. He’s emotionally troubled at times too, but never descends into weird emo territory. The chemistry between him and Emma Stone is cute, likeable, and believable. I think believable is the key word here that describes a lot of the film. This is not so much a “gritty” reboot as it is a grounded one. Things feel more real and more believable. More set in reality and less comic book-y despite the fact that a kid in red and blue spandex is swinging around New York like a spider, trying to catch a scientist who mutated himself into a giant lizard. I especially liked how there is a lot of detail put into showing how Peter’s abilities relate to their origin and how spider-like he is at moments. A lot of it is really subtle, but appreciated. Ok, Norman Osborne. He may or may not make an appearance. Really – I don’t know, and neither does anyone else who has seen the movie. Make sure to stay through the initial credits at the end and judge for yourself. The stinger paves the way for the sequel in 2014 and opens a whole lot of questions – some of which are the reason I’m not sure about that previously mentioned “Gollum” scene. So, what you really want to know is should you watch this movie? Yes. This reboot is a little premature, perhaps, but fantastic. It is everything a Spider-Man film should be. Funny, emotional, visually stunning, and has plenty of action. The screening I saw was in Imax 3D. While the scenery looked gorgeous on the extra large screen, the use of 3D felt lacking. Some of the web-slinging scenes look great with the extra dimension, but mostly it falls flat – no pun intended. This entry was posted in Reviews, The MG Blog and tagged Amazing Spiderman, Andrew Garfield, Emma Stone, Entertainment, Film, Remake, Stan Lee by HamiltonW. Bookmark the permalink.